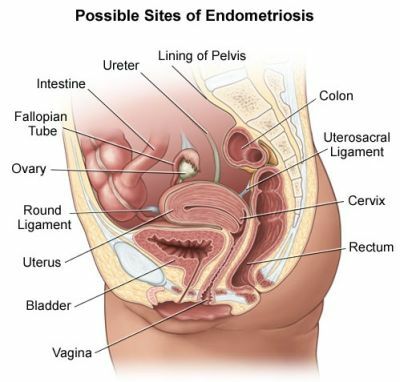 Below is a selection of pictures of endometriosis that have been taken during an operation. These pictures will give you some idea of what endometriosis actually looks like. 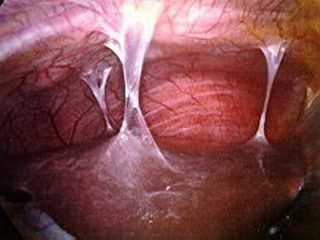 These are filmy adhesions commonly seen after a pelvic infection like Pelvic Inflammatory Disease. They are easily treated and less likely to recur than the dense adhesions of endometriosis. 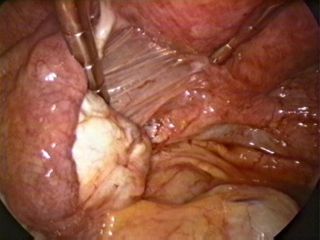 These adhesions are situated between the surface of the right diaphragm and the liver. 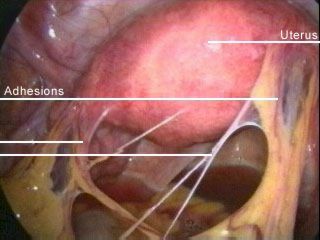 These are very minimal adhesions between the left ovary and pelvic side wall. 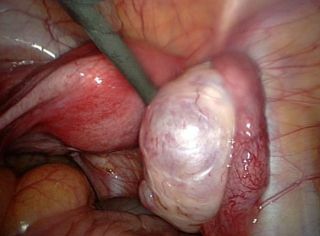 These adhesions will be commonly associated with mild to moderate endometriosis. 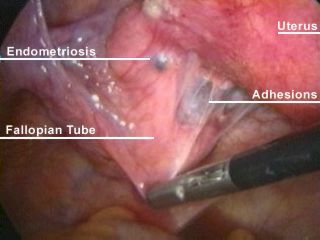 These dense adhesions are commonly associated with advanced endometriosis. 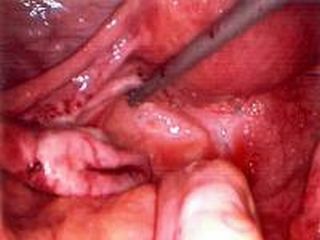 They can be treated with laparoscopy techniques, but are more likely to reform after surgery. This picture shows endometriosis on the left ovary. 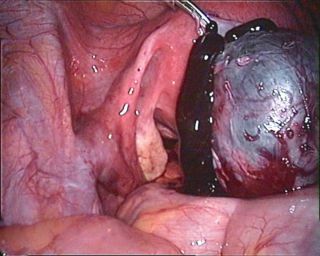 This picture shows a chocolate cyst, which can be quite common in more advanced endometriosis. This picture shows what is called a 'powder-burn lesion'.